Mistrust and fear borne out of the rampaging Fulani herdsmen is preventing Nigeria from reaping the benefits of cattle rearing in the country, according to Oseloka Obaze, Anambra former Secretary to State Government (SSG) and governorship candidate of Peoples Democratic Party (PDP) in the November 17, 2017 governorship election in the state. Delivering the Fourth Annual Lecture of Economic Department of Nnamdi Azikiwe University, Awka, titled ‘The Political Economy of Cattle Colony in Nigeria’ on Wednesday, Obaze said each state could create its own cattle colony without any apprehension over herdsmen attack or herdsmen-farmers clash. According to him, the solution lies in each state creating and managing its own colony. A state can rear its own cattle and employ whomever it wants to manage or run the colony. By so doing, there will be no clashes because a state’s cattle colony can even be managed by the state exclusively, Obaze added. He lamented that though the potentials of the cattle industry in Nigeria is enormous, it is still hardly being tapped. Such potentials, he said, included beef and sausage production, hides and skins, fresh milk, cheese, butter, ice cream, yoghurt, infant formula and bone china. Others include manure, mechanised abattoirs, and job opportunities. But he warned that cattle should not be allowed to occupy prime space to the detriment of human beings. He lamented that nations that even have more cattle than people do not face the problems confronting Nigeria. “Five countries; Uruguay, New Zealand, Argentina, Australia and Brazil now have more cattle than people, but do not have the problems from cattle,” he noted. 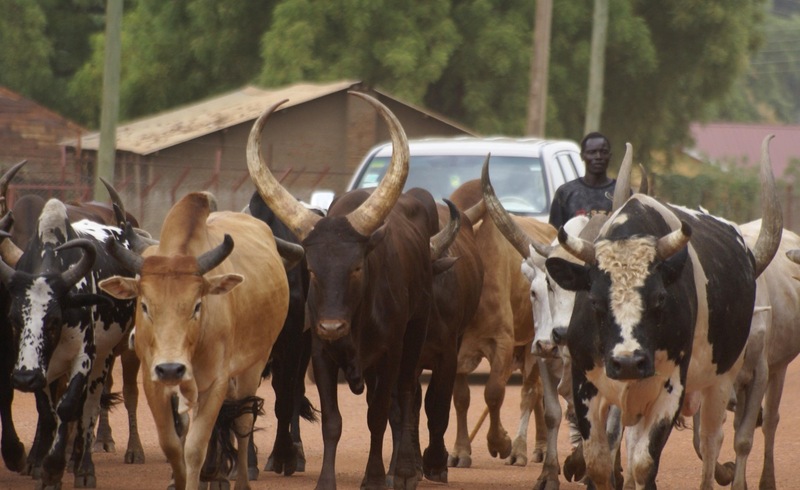 According to him, recent studies show that the vast value of the Nigerian cattle industry remains under-valued due to the informal nature of the business. Professor Joseph Ahaneku, the vice chancellor of the university, described the university as a citadel of teaching, learning and research which has been contributing her quota in public enlightenment regarding public policy matters over the years and one of such is the lecture series of the economics department. To remain societal relevant, Ahaneku said, the university system must strive to assist in providing solutions to societal challenges, one of which is the herders-farmers conflicts that had been claiming the lives of Nigerians over the years. Uju Ezenekwe, the Head of Department (HoD), Economics, said she had resolved that this year’s lecture must be contemporary. According to her, over time, most people have seen academic institutions as immune to the contradictions and material negations in our society. Mr. Obaze is the former Secretary to the State Government of Anambra State, Nigeria from 2012 to 2015 - MD & CEO, Oseloka H. Obaze. Mr. Obaze also served as a former United Nations official, from 1991-2012, and as a former member of the Nigerian Diplomatic Service, from 1982-1991. Selonnes Consult Ltd. is a Strategic Policy, Good Governance and Management Consulting Firm, founded by Mr. Oseloka H. Obaze who served as Secretary to Anambra State Government from 2012-2015; a United Nations official from 1991-2012 and a Nigerian Foreign Service Officer from 1982-1991. Policy Brief 54/18: Chinese Silk Road; Debt Peonage for Nigeria?